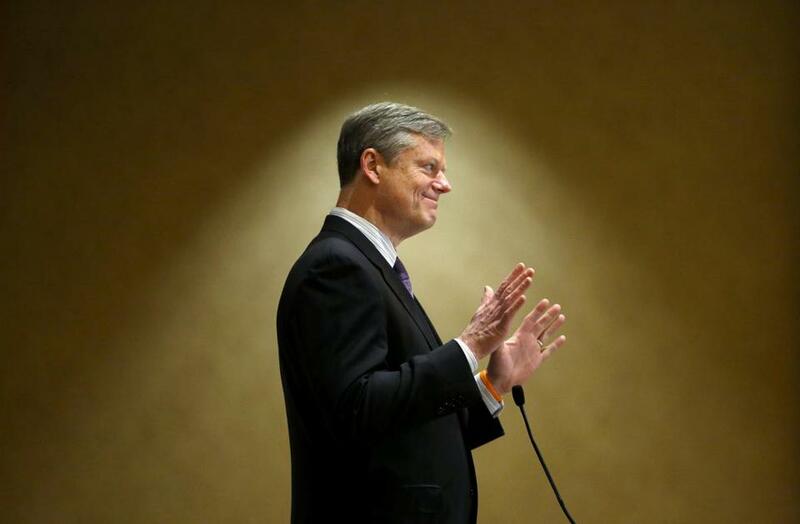 Governor Charlie Baker has quietly proposed an array of mental health care initiatives, but what he hasn’t been prepared to do is provide much in the way of public leadership. Governor Charlie Baker would seem to have the ideal background to tackle the state’s unfolding mental health crisis. As health and human services secretary in the 1990s, he helped create the current patchwork system that is now leaving so many without help, and he went on to run one of the state’s largest health insurers for a decade. And Baker has quietly proposed an array of mental health care initiatives, including better training for police and a boost in spending on health care coverage for low-income people. What he hasn’t been prepared to do, thus far, is provide much in the way of public leadership, or to speak to the issue. The governor has said little publicly and repeatedly rejected interview requests from the Globe over the past year in connection with the Spotlight series “The Desperate and the Dead,” which documented the large number of police shootings and violent crimes involving people with untreated mental illness. Plus, critics say his proposals fall far short of the sweeping changes that are needed to address years of cuts and neglect that have severely hampered the mental health care system. Baker’s 2018 budget calls for only a 1.6 percent funding increase for the Department of Mental Health, slightly less than the current rate of inflation as well as the increase Baker has proposed for the state budget as a whole. “I don’t think the administration is doing enough or saying enough at all,” said Cindy Friedman, the longtime chief of staff to former state senator Ken Donnelly, an Arlington Democrat and champion of mental health care reform who died in April. Friedman is running for Donnelly’s seat. The state’s closure of psychiatric hospitals has had unintended consequences. Friedman believes the state needs a comprehensive plan to help patients with mental illness — and the money to back it up — instead of the “very piecemeal” changes favored by the Baker administration and the Legislature. The Baker administration declined to comment directly on the criticism. But Baker noted in a written statement that some mental health advocates have credited his office for taking steps to address the problem. “We are pleased that leading mental health experts have recognized our administration’s commitment to serving those who suffer from mental illness by increasing investments in both the Department of Mental Health and in crisis intervention programs,” Baker said. Baker, one of the most popular governors in the country, would be in a strong position to bring about changes in Massachusetts, given his deep knowledge of health care, advocates say. But as governor, Baker has spent his political capital on other high-profile issues, such as trying to contain the size of state government, overhauling the troubled Massachusetts Bay Transportation Authority, and reducing the number of deaths from heroin and other opioids. Baker has spoken out on the care for mentally ill inmates, using his annual State of the Commonwealth address in January to request $37 million in additional money for treatment at Bridgewater State Hospital. The prison for inmates with serious mental illness has been dogged by complaints of mistreatment. “It’s the right thing to do and we ask the Legislature to support it,” he told lawmakers. ■ Obtained a federal waiver from the administration of former president Barack Obama to spend an additional $400 million over the next five years on behavioral health care under MassHealth, the state’s insurance program for low income people. Baker officials estimate that MassHealth will spend $1.2 billion on behavioral health in the fiscal year that starts July 1, about a 10 percent increase from the current year. ■ Proposed an additional $2 million in spending on efforts to keep mentally ill people out of jail, including increased training for police and other public safety workers in crisis intervention. The proposal is still subject to budget negotiations with the Legislature, but if passed it would more than double the amount the state spends now. Still, the broader training effort would reach only a fraction of the state’s 400 state and local police departments. ■ Established a working group to review how hospitals deal with people with mental health symptoms who are crowding emergency rooms. Some mental health advocates say they believe Baker’s proposals will improve mental health care in Massachusetts, but contend it’s not nearly enough. Martinelli and others, though, gave Baker credit for at least trying to make changes to address a difficult problem with limited resources. The administration recently estimated that tax revenue for this fiscal year could come in between $375 million and $575 million below previous estimates. And Baker has steadfastly opposed raising taxes, which means the state can’t significantly boost mental health spending without cutting other parts of the budget. Both the House and Senate have approved slightly larger increases in their own versions of the budget, but still have to negotiate the final details in a conference committee. But some say that the Baker administration, like earlier administrations, doesn’t grasp the full impact of the mental health crisis. For example, police say they spend a disproportionate share of their time responding to mental health emergencies and handling crimes committed by people with mental illness. Thirty-one of the 65 men and women who were fatally shot by police across the state between 2005 and 2015 were suicidal or showing clear signs of mental illness, the Spotlight Team found, raising concerns that officers are ill-equipped to defuse a mental health crisis without resorting to force. The Globe found potential road maps elsewhere in the country. For instance, in the county that includes San Antonio, civic leaders spent 15 years trying to build a comprehensive, humane mental health care system. Though it’s not perfect, San Antonio officials estimate more than 100,000 people have already been diverted from jail and emergency rooms to treatment, potentially saving nearly $100 million over eight years. The state Senate recently adopted a budget amendment that would take the first steps toward creating a San Antonio-style crisis center in Middlesex County. The budget amendment, which still must be approved by the House and governor, calls for a commission to study the crisis center idea, using San Antonio as a model. Pauline Barnes, whose 24-year-old son, Rashad Lesley-Barnes, was killed by a man diagnosed with schizophrenia, said she was also disappointed that Baker and other state leaders are not taking stronger action. She also wishes Baker would speak publicly about the issue. “The only way they are going to pay attention is if it happens to someone they love,” she said. Barnes, who works in patient intake at Brigham and Women’s Hospital in Boston, said she constantly encounters the problem of untreated mental illness.